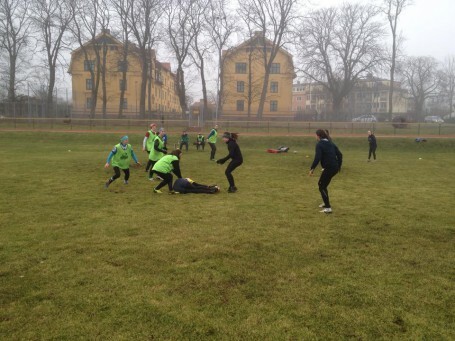 Following the popularity and success of the ‘North to South’ team, a joint enterprise between the ladies of Lugi and Umeå at the Stockholm 10s, the two clubs decided to give it another go in order to get together as strong and complete a team as possible for Håckes. 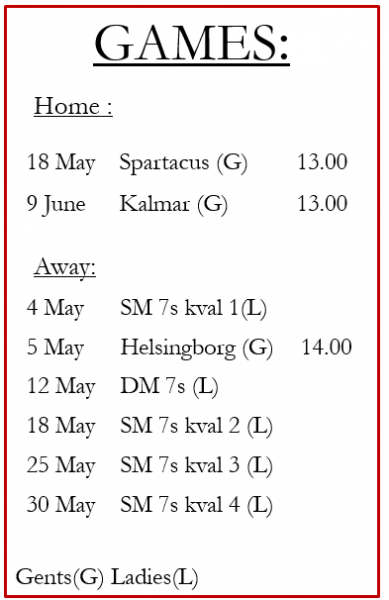 The team have been handed quite possible one of the toughest Håckes groups in recent memory as they face off against Göteborg, Pingvin and Wexiö in group 1, playing at 08:20, 12:20 and 18:20 respectively on Saturday. The strength of the group is testament to how the tournament has grown, with the ladies competition expanding to 12 teams to match the men’s format and attracting team’s such as the Tabusoro Angels and the Danish national team. With the departure of Mican for pastures new in Stockholm, Anna Thynell is now the Lioness in charge of the pack, and the team looks forward to her fearless leadership on and off the park. However that said, we haven’t lost Mican just yet as she will be joining us for the tournament for one last go round in her (self admitted) favourite colours. Overall the team is looking at this tournament as a building experience and a chance to test out the new blood whilst giving us a platform to head into the new season. Live scores will be posted on the team’s app and reports from the games will be posted on the Facebook page. This entry was posted in News and tagged Lugi, rugby, womens rugby on March 5, 2015 by Ross.